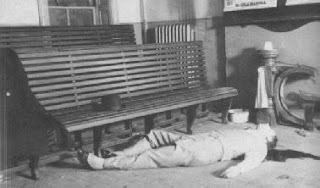 "Machine Gun" Jack McGurn (July 2, 1902 – February 15, 1936), born Vincenzo Antonio Gibaldi, was a small-time boxer, Sicilian-American mobster and key member of Al Capone's Chicago Outfit. 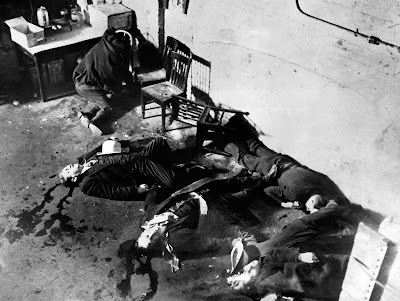 McGurn is associated with planning the St. Valentine's Day Massacre in 1929. In 1930 the "Public Enemies" list of the top 28 people corrupting Chicago appeared with McGurn's name fourth, which was published nationwide. This notoriety caused him to be shunned by the Outfit. 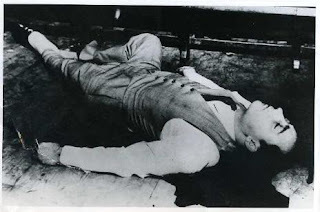 McGurn was assassinated by three men with pistols on February 15, 1936, one day after the seventh anniversary of the St. Valentine's Day massacre. 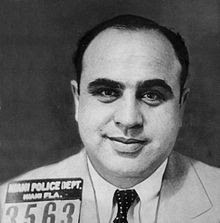 The killers tossed a Valentine card with this poem near to his body: "You've lost your job, you've lost your dough, Your jewels and cars and handsome houses, But things could still be worse you know... At least you haven't lost your trousers!". 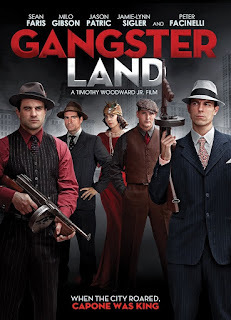 The story of America's most famous mobsters and their rise to power, 'Gangster Land' examines Al Capone’s ascension through the eyes of his second in command, "Machine Gun" Jack McGurn. Gangster Land opens in theaters on December 1st. 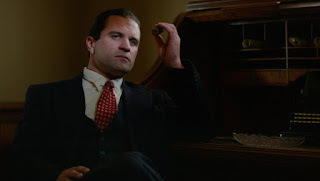 Mel Gibson's son, Milo, plays Al Capone. Justin Primmer - "I hate the Hells Angels"